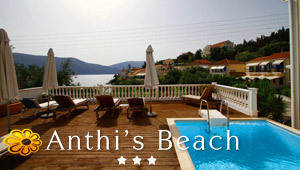 View the lovely photos of Fiscardo in Kefalonia that our members have uploaded in Greeka.com. These photos will help you get an idea about this beautiful location and the surrounding landscape. You have photos of Fiscardo in Kefalonia and want to upload them in our website? Just log in your account in Greeka, if you are already a member. If not, sign up for our community: it is free and will only take 1 min. Keep in mind that all photos uploaded by our members participate in our annual photo contest. Description: 2018-09-18 - 18h.44 : Fiskardo : A bell tower above Cat Square. Description: 2018-09-18 - 18h.40 : Fiskardo : The central Cat square, near the port. Description: 2018-09-18 - 18h.40 : Fiskardo : Houses on the harbor. Description: 2018-09-18 - 17h.45 : Fiskardo : Houses on the harbor. We found an excellent address for orange cakes ..., you come with us ??? Description: 2018-09-18 - 17h.40 : Fiskardo : Houses on the harbor. Description: 2018-09-18 - 18h.25: Fiskardo : Harbour view. Description: 2018-09-18 - 18h.30: Fiskardo : Harbour view. Description: 2018-09-18 - 17h34 : Fiskardo : Colors of houses on the port. Description: 2018-09-18 - 17h35 : Fiskardo : Colors of houses on the port. Description: 2018-09-18 - 17h30 : Fiskardo : Colors of houses on the port. Description: 2018-09-18 - 16h.15 : Fiskardo : View from Panoramas Restaurant towards Zavalata Beach. Want a room ? Description: 2018-09-18 - 17h.05 : Fiskardo - Panormos Restaurant : Come on, man, the nap is over! Everyone in the water ! Description: 2018-09-18 - 17h.00 : Fiskardo : Panormos Restaurant. A little swim before dessert ??? Description: 2018-09-18 - 16h.40 : Fiskardo - Panormos Restaurant. Cast off ! Description: 2018-09-18 - 16h.00 : Fiskardo - Panormos Restaurant. Need fresh ? Description: Sunrise at Fiskardo harbour.